Hello crafty friends! This is the first of my scheduled posts whilst I am away living it up in Las Vegas! Hopefully, I will be somewhere like Mt Charleston enjoying a leisurely lunch and taking in the cooler air watching the Hummingbirds on the feeders . . . always a delight for us city folk! This card was made with some flowers I had already coloured and cut out by hand months ago and a panel I had stencilled and not used . . . so a quick and easy one! 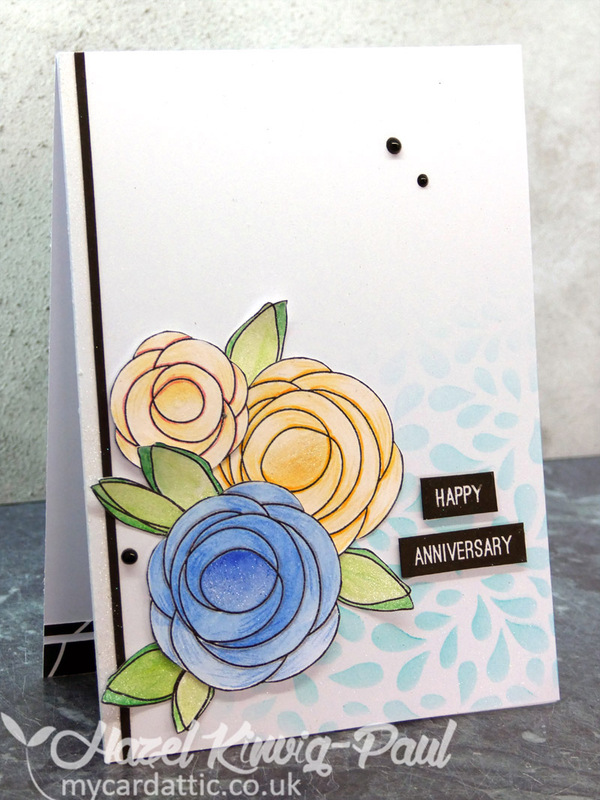 lovely card - hope you are having a fab time! Hazel, it is beautiful. 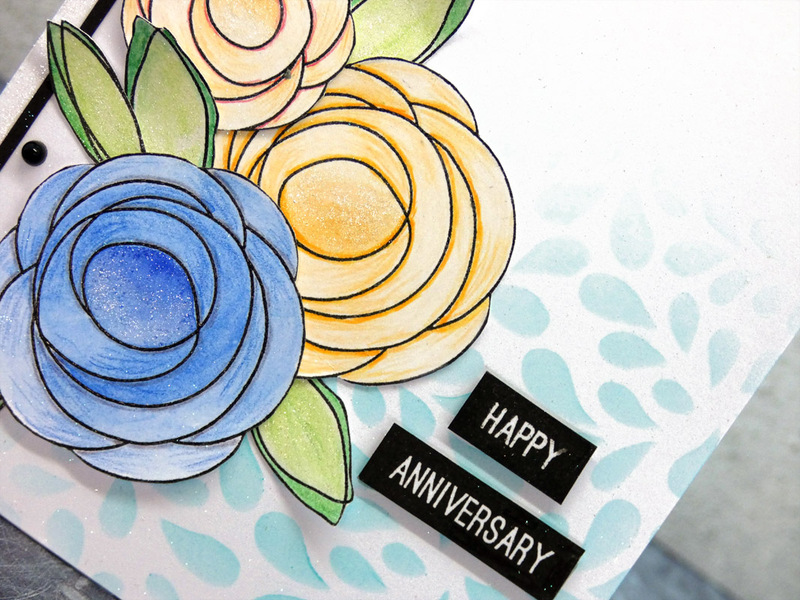 Great use of your bits and pieces. Have an absolutely wonderful time Hazel. Your card is very pretty. What a beautiful anniversary card, Hazel! 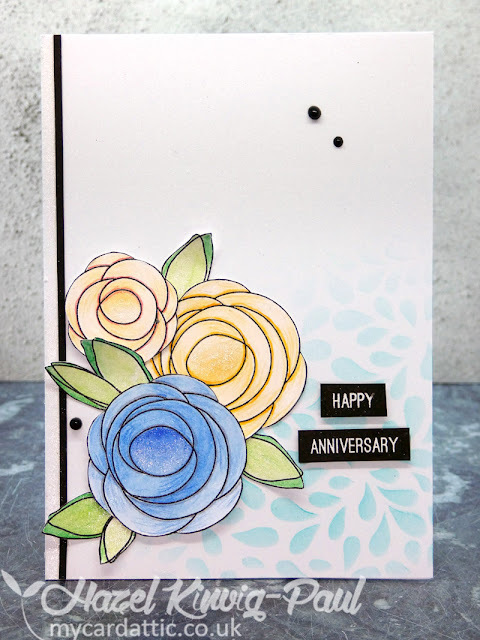 Love those flowers and the soft, stenciled background adds just enough interest without taking away from the beautiful flowers! Hope you're having a great time! Even though it was quick and easy, it is SO pretty! 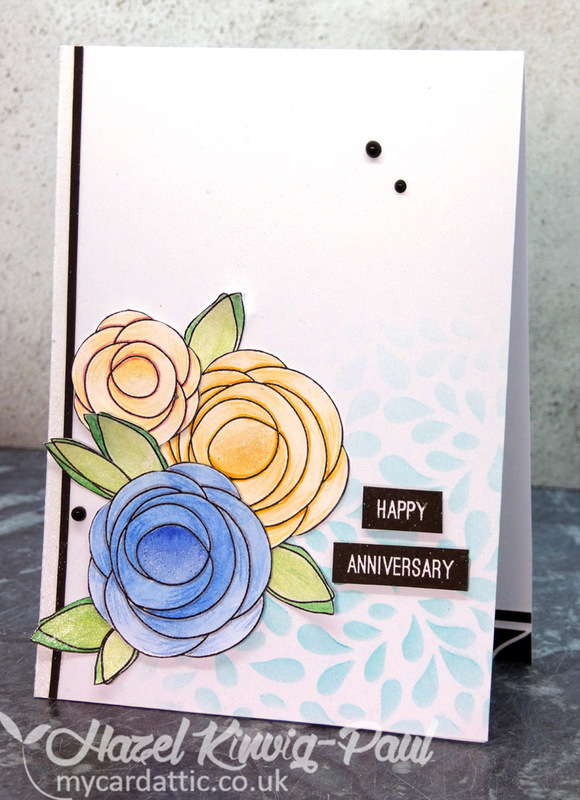 I love your simple flowers and stenciled background. 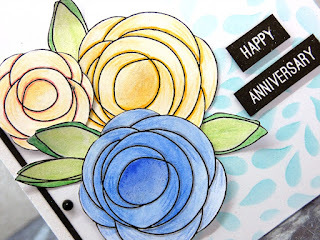 So beautiful...love your sweet blue and yellow flowers!